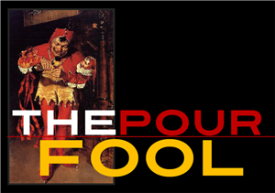 In the entire history of The Pour Fool, I have never once singled out any individual for criticism. I’ve bashed Anheuser Busch and AB/InBev plenty, with great glee, and will probably do it again, as further news of the long, dismal slide of their brands continues. But singling out individuals, nope. Honestly, in the beverage trade, I just rarely meet anyone who deserves to be slapped a good lick upside the head, metaphorically speaking, so it’s with some relief that I get to tell you that the person I have to single out is not a part of the beverage trade at all. That person is Vani Hari. Ironically, this is a selfie. Disgusting. But Ms. Hari – to whom the sight of a camera and her name on somebody else’s website has roughly the same effect that a pound of ground chuck has on my dog – takes her effort to broaden her “brand’s” reach and pull down more $$$ to places in which her indeterminate level of expertise gets a tad thin. She also seems to have grasped in a virtual stranglehold the Extreme Right’s principle – “Just Say It Enough Times And It’s Like It’s True!” – and thinks that means we can – and should! – scare the Bejesus out of simple-minded, pissed-off, Americans. The “how” is simple: Take foods and beverages that actually contain ingredients that have been safely used for sometimes a century or more and deconstruct them to ferret out the forbidding scientific names of those products and claim that they’re dangerous. Recently, Ms. Hari took breweries to task for using “pig bladders and anti-freeze” in their beers, handily omitting the fact that there are elements that are used in a broad and varied range of products and that the inclusion of something in anti-freeze does not actually prove that it’s going to be injurious if used in something else. Propylene glycol alginate, one of the additives Hari went loopy about, is an emulsifier, stabilizer, and thickener used in food products. It is a food additive. 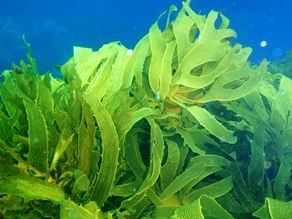 It’s an ester of alginic acid, which is derived from kelp. Like many, many plants and animal parts, it’s extracted and used in a crazy variety of foods as a thickener – an inert thickener, meaning it has no active enzymes and produces no reaction. It’s been declared safe repeatedly by both the FDA and scores of independent labs. And very, very few – if any – craft brewers ever use it. It can be bad for you – if you sit and eat it with a spoon while watching golf…so don’t do that and you’re probably fine. But it sounds and reads, on the page, like a carcinogenic death-demon. “Necrotizing Fasciitis”, “Diazomethane”, “Propyl Nitrate”…”Propylene glycol alginate”. Without doing any reading, tell me…which one is not a disease or a poison? Water is, in fact, used in every beverage Ms. Hari blows her chic designer whistle on. Do we now start demanding the exclusion of water…because, hey, we don’t know where it came from, after all! She wants brewers to become “more transparent” in listing ingredients, with the blatant implication that not listing their proprietary recipes – y’know, that little list that allows them to make a beverage that’s distinctive and recognizably different from every other beverage of its type – is done only because they have some maliciously-applied chemical to hide. Similarly, an article surfaced, just this week at huffpost.com – via Quora.com – that contains comments made in June of 2011 by a former wine shop manager turned (pasted from his own Quora page) “…in-house web developer / web designer / graphics designer / data specialist for three wineries and a hotel.” His name is Chris Knox and I’m not going to take a swing at him at all, apart from noting that he took some fairly basic facts about winemaking and used them to club one of the country’s largest winemakers. Chris Knox wasn’t looking to capitalize on his comments. He was just responding to a question posted on Quora and this is what separates him from Ms. Hari. 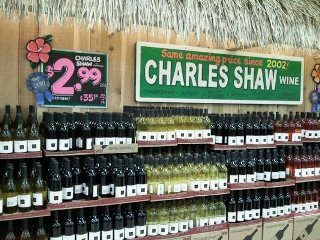 Knox took off on Fred Franzia and the colossal Bronco Wine Company, notorious makers or that Cheap-Wine Rock Star, Trader Joe’s Charles Shaw Wines – the (in)famous “Two-Buck Chuck”. Chris was just being a junior wine snob and if we started hanging everybody guilty of that, we’d have to deforest Washington to build enough gallows. His observations, while mostly accurate, were cast in the worst possible light, probably to drive home what was a fairly obvious personal distaste for Franzia, the man, who can be a complete jackass if confronted in the wrong manner. (Again, forests and gallows) In my three dealings with Franzia, he’s been courteous, if not especially warm, and that’s really all I expect. And what Knox said about San Joaquin? That’s precisely what was being said about Lodi and Nevada County – and Walla Walla! 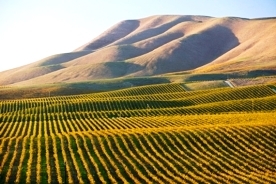 – and dozens of other American AVAs before they produced some great wines and got hot. Hyperbole. “Scientific snow”, as old advertising hacks used to say. Exaggeration for effect. Slanted opinions…In Knox’s case, just youthful folly. In Hari’s case, deliberate misrepresentation and mischaracterization of the ingredients by using their long, unpronouncable chemical names to make them sound sinister. She takes the mega-brewers to task for using all manner of stuff that’s been used for 100+ years without sickening anybody. 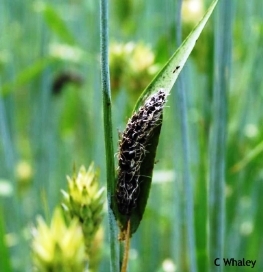 She goes after CORN, as used in adjunct lagers – something which has been done literally since the birth of brewing in the US – trying to convince her army of followers that the corn used just has to be GMO-bred and of the lowest possible quality. She conveniently gives ZERO possible proof that any of the products she villifies are actually either in use or sourced in modified form. It’s all “We have the RIGHT to know what we’re putting into our bodies!” Indeed we do and I’ve already proposed several times online that we circumvent the federal government’s inexplicable favoritism when it comes to Monsanto and their GMO crap by simply shopping ONLY for those products which the manufacturers clearly label as “GMO Free”. That’s a strategy that gives consumers back the whip-hand in the marketplace and hits greed-head outfits like Monsanto in the only place where they can really be hurt: the bank account. Hari’s crusade is all sound ‘n’ fury, motivating people to embrace the superficial contemporary “action” of signing petitions and rattling sabers in online forums, and raising hell over boogey men, whether there is a shred of evidence that they exist or not. She and her minions incessantly demand that companies be “more transparent”, an inarguable term that she knows will never be challenged because, hey, who wouldn’t want transparency? Might as well argue against motherhood and kittens…except that, if every manufacturer in the US did start, right today, laying out every single ingredient and in what proportions is in their products, it wouldn’t end Hari’s mission and let her gracefully exit the American scene. Because at least a HUGE part of her “mission” is the celebrity of Vani Hari. She plays off the fact that she’s cute…and I chose that word carefully. She’s pretty, also, but it is her cuteness that’s the hammer. Could that face ever manipulate me? Ever exaggerate for effect? Ever outright lie to us? Make no mistake about this, if I were sitting on a stage with her, debating the issues, I could sit there and shave, mine for ear wax, and change clothes and nobody would ever see it. The point of this is simple: embrace LOGIC before you haul out on some witch-hunt for those greedy, devious ne’er-do-wells that Hari tells you are lurking everywhere behind her perceived black-hearted facade of American business. 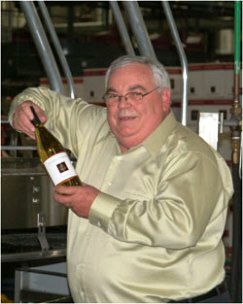 Ask yourself why a man who has made hundreds of millions of dollars selling wine would jeopardize his whole business empire just to avoid paying out a couple of million for filtration systems and laser chromatography equipment and chemists to make damned sure sure that his wines are safe to drink. Ask yourself if a guy whom even his detractors say is a very smart man would be stupid enough to carelessly let that ONE consumer get sick and either die or be incapacitated by a wine…because, trust me on this, it will only take one dead Two Buck Chuck fan to bring Bronco down like Jericho’s Walls around Fred Franzia’s ears. Similarly, ask yourself if a budding craft brewery would risk what they have invested, the reputation they’ve built, and the horror of making their neighbors and families sick and losing everything, just out of laziness and the desire to save a few bucks. If assurances won’t set your mind at ease, turn to Hari’s cynical straw man: self-interest. People who make consumer products have to think about such issues and Hari and her acolytes want you to assume that none of the producers care as much as they do. Which is known by a simple term that has served this country admirably, ever since the continent was settled: Stupidity. A final thought on Franzia and food purity in general. Chris Knox noted that “Everything, and I do mean everything (including all those unripe grapes, rotten grapes, leaves, stems, birds, rodents, and insects) gets tossed into the crusher and transferred to large tanks to ferment.” In fact, find me ONE bird that’s so unconcerned with its own self-interest that it will sit obliviously on a grape vine while a two-ton machine is bearing down on it and I’ll eat that bird. If he’s referring to dead ones, my money is on them winding up on the ground, where gravity tends to deposit stuff, not stuck in the leaves. Ditto for rodents, which are even more skittish than birds. Proof? Have you ever tried to catch a rat or mouse by chasing it? There ya go. 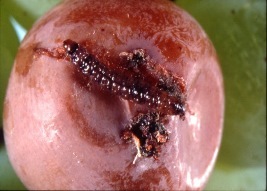 BUT…the truth is – with the grapes used in winemaking, the grains and hops used in brewing, the grains used on making spirits, and even the cola beans used to make soda pop – things that grow out there, in the Great Outdoors – are going to have dirt, dust, bird feces, any nearby air pollution, animal urine, insects that burrow inside the grapes and grains, rot, molds, fungi, and other impurities in them and no amount of careful, hallowed, simon-pure hand-picking and sorting ever gets rid of all of that. 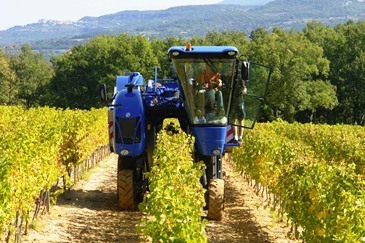 The very best wineries in this country, in France and Spain and Italy – those wineries that geeks like Chris Knox and I salivate and fawn over – issue bottles of wine every day that have some of those impurities as part of the package. In truth, you have quite likely never, not once in your life, drunk a glass of wine, beer, or Scotch that didn’t contain some tiny, tiny percentage of stuff in it that would gag you if you stopped to think about it. I’m absolutely serious about this: if you’re a germaphobe and the fear of such “contamination” bothers you, the answer is not to join a consumer crusade, because as long as grapes are not ALL grown in greenhouses, there WILL be impurities in wine. Your solution is literally this: Stop Drinking Wine. 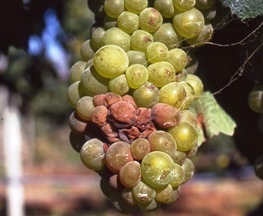 The possibility of taint in beer and liquor is almost nil because both of those processes involve a vigorous boil but all the same contaminants that apply to grapes did, for a fact, come into contact with those grains and hops as they were growing. DO NOT delude yourself into thinking that the world has been sanitized for your protection. Making foods and beverages is NOT a zero-tolerance form of human endeavor. And, PLEASE, for the love of God, do not cave in to the fear-mongering windbags like Hari, especially when the provocative specter of celebrity is part of the equation. THINK FOR YOURSELF. READ. Gather FACTS. We live in an age, after all, in which fame is so coveted and so compelling that grown couples will let themselves and their children be video-taped, exposed, and debased on national television so they can be “famous” for their 15 minutes. We’ve all seen graphically how low people will stoop to Be Somebody. Is the idea that that mania for notoriety would extend to the quest for fame as a “consumer advocate” really all that far-fetched? I think you give Chris Knox too much of a pass, and I don’t know enough about Ms Hari to form an opinion, though if your description is accurate, she seems to be quite shameless. One quibble, though. She’s most likely right about the GMO corn (in any brew not organic). Nearly 90% of the corn grown in the US is a GMO variety. I seriously doubt that many brewers seek out non-GMO corn and if they did, I would expect them to label their product as such. Susan: I don’t know any brewers who DON’T specify Non-GMO corn. Why is it that those concerned with food safety seem to think that brewers are not? Is it because beer has always been seen as the drink of choice of Joe Six-Pack; a declasse beverage that’s swilled by clueless folks who’ll eat or drink just whatever old thing is set in front of them? In fact, I had already read the link you posted, which was sent to me by a Seattle brewer, as illustration of the problems that brewers routinely network to avoid. I don’t understand why you “seriously doubt that many brewers seek out non-GMO corn and if they did, I would expect them to label their product as such.” Just as with labeling their products as Organic, breweries face exactly the same dilemma that wineries have faced for eons: some people will read “Non-GMO” or “Organic” on the label and get an impression that the brewery is more concerned with their social conscience than with making great beer. I saw this is retail for over 20 years, people who would pick up a bottle of wine labeled Organic, make a face, and pass it by. Food labeling is a sticky problem: do we say that we’re organic and biodynamic and Non-GMO and Dolphin Safe or whatever socially-conscious issue is this year’s Hot Button, so we can curry favor with that segment of society, or do we say nothing and let people think what they will? Most of the general public never knew this but VERY, very few wineries from Europe and Australia and the US were NOT using organic practices; sometimes, in Europe, for five to eight centuries. Not because of their environmental conscience but because that was just always the way it was done. I don’t know of many food/beverage related occupations that are more conscious of the quality and sourcing of what goes into their products than breweries. And, you should also consider than corn, grains, hops, yeasts and other brewing ingredients usually come from brewers supply companies, NOT from food service suppliers or feed ‘n’ grain stores. Brewery suppliers know that brewers want Non-GMO products and few stock anything that’s not. As for giving Chris Knox too much of a pass, he’s just one of an ARMY of young, hyper-opinionated wine “professionals” who entertain such raging biases against producers based on, usually, little more than hearsay and their own personal animus against people they find unpleasant, which Fred Franzia certainly can be. Giving him a pass isn’t what I did but if I start taking swings at everybody in the wine biz I find pretentious and petty, I’d have to give up writing this, walking my dogs, bathing, and most sleep. There are MILLIONS of knuckleheads like Chris Knox, lurking in the shadowy areas of the Wine Cesspool. I can’t possibly single him out as a heinous example of attitudes I know to be FAR worse in others. Vani Hari is the worst kind of scientific journalism. I use that term in the loosest possible sense as she makes baseless assertions on health, medicine, nutrition, chemistry, biology… well pretty much anything sciencey. (Big words scare her). But if you have a problem with “tinkering with the very Stuff Of Life, the genetic codes that usually only change over aeons because nature herself decides to adapt to different circumstances” then you may want to talk to some diabetics that rely on recombinant insulin. You’re making a fallacious appeal to nature. The sad thing is that their are countless people out there who follow her blindly. Hydrogen di-Oxide is the most dangerous chemical known to man. It has killed more people than any other! ← The Pour Fool’s State-by-State Beer Map of Emerging Styles!